In 1309 a Genoese adventurer, to whom the Byzantine emperor had given Rhodes as a feudal property, or fief, sold the island to the Knights of the Order of St John of Jerusalem, who then quickly spread their control across the islands of the Dodecanese (with the exception of Astypalea, Karpathos and Kasos). The multiethnic composition of the Order favored the ethnic mix and diversity of peoples who inhabited the islands. The port of Rhodes regained its old international significance and activity. Pepper, caviar, perfumes, fabrics, carpets, olive oil, wines, sugar, soap and slaves were just some of the merchandise that was handled by the port. Although the Knights of St John were deadly enemies of the Turks, mutual economic interests led them to conduct trade with each other. 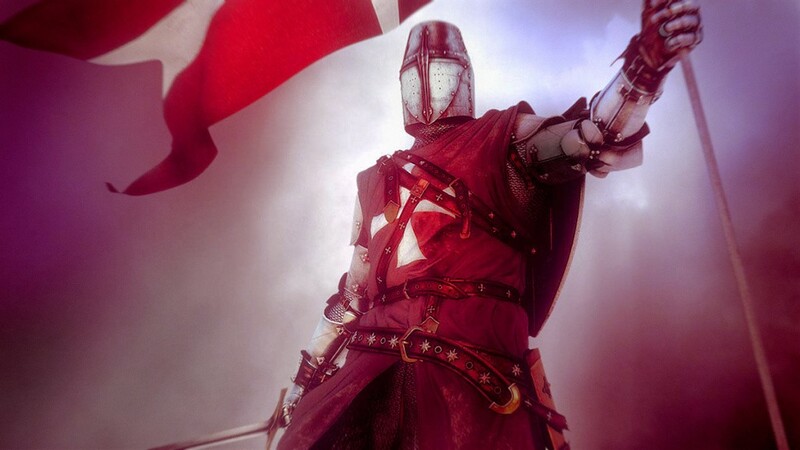 The Order was composed of three main classes: the knights, chaplains and serving brothers or fighting squires who followed the knights into action. The official language of the Order was Latin, and later French, while all spoke the local tongue of Greek. In the city of Rhodes the majority of inhabitants were Greeks, although there were also many merchants, craftsmen and soldiers from the West. There was also a Jewish community, originated from Spain with its own neighbourhood within the walls of the city. The city’s fortifications were very strong, built to withstand the latest military technology: gunpowder. The Knights were heavily armed, with armour worn beneath a purple tunic decorated with an octagonal white cross on the chest.The armour was even heavier than that worn by the Byzantine Knights, and very much heavier than the Turkish mounted archers. The prevailing architectural style in Rhodes city was the gothic style, imported from the homelands of the Knights in the West, and even came to influence the normally traditional Greek aesthetic tastes. In 1453 the city of Constantinople fell to Mehmet the Conqueror. Rhodes now braced itself for the onslaught of the Ottoman Turks. In 1480, the Ottoman Turks besieged the island without success. They returned in 1523 and, after a long and hard-fought struggle, managed to conquer the island. The Knights of St. John withdrew to Malta.